Virgil van Dijk is fit to feature in Liverpool’s Premier League clash with Huddersfield Town on Saturday, according to Netherlands head coach Ronald Koeman. 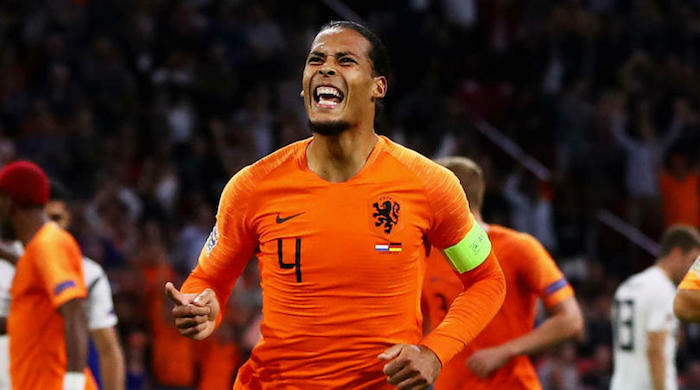 Van Dijk was ruled out of his country’s friendly with Belgium on Tuesday after the Royal Dutch Football Association confirmed he was still suffering from a rib injury sustained in Liverpool’s meeting with Southampton last month. ‘He’s back in Liverpool but he is ready to play for next week,’ Koeman told a media conference. ‘He’s taken a rest. The medical staff of the Dutch national team spoke to the medical staff of Liverpool and made the decision that he would play only the Germany game and then after that go back to Liverpool. ‘He is ready to play next weekend,’ he concluded.